An 18-year-old man has been arrested following the death of another man who was found on a footpath in Sydney's west overnight. Emergency services were called to Ralph Place at Mount Druitt about 12:30am where they found a man, believed to be 20 years old, with serious head injuries. Inspector Dave Goddard said two members of the public found the man, who was of African descent, at the back of a row of shops and called police. "We're treating the death as suspicious and as a homicide, " he said. Officers said the man was yet to be formally identified, but they believe he was 20 years old. 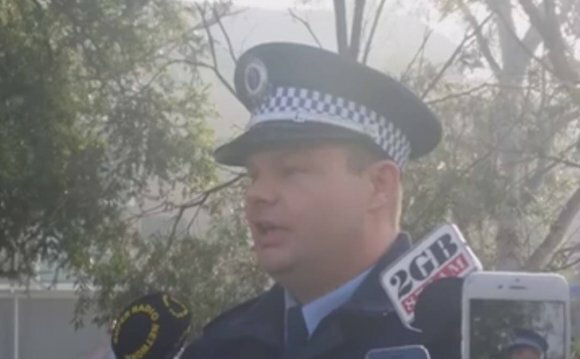 "Presently, we've got an 18-year-old male in custody at Blacktown police station who is assisting with our inquiries, " Inspector Goddard said. "We believe it is possible that the person or persons responsible for the death may have caught a train from Mt Druitt to Blacktown around 11:00pm last night." Inspector Goddard said police were seeking witnesses and would be examining CCTV from the area to piece together the attack. "Investigators are in the field now trying to gather as much evidence as we can particularly around the area of Ralph Place, " he said. "If anyone saw anything suspicious or unusual around Ralph Place or on the trains between Mt Druitt and Blacktown, between 10:00pm and midnight, I'd appreciate them coming forward." Police have closed off a large section of Ralph Place as they investigate the man's death, and are warning shoppers and commuters who will be travelling via Mt Druitt Railway Station to allow extra time while the crime scene is in place.